"Thank you, your premium to cover my truck, liabilities and G in T, was less than my truck alone!" If you are interested in these or any other type of insurance, please call us, or click the 'Enquiries Form' tab above and email your enquiry to us. Please read our Duty of Disclosure information. Click the Duty of Disclosure information button to view this. If you are looking for peace of mind insurance while your trucks are on the road then you’ve come to the right insurance broker. 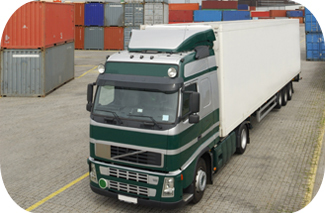 While you concentrate on running your fleet and business, which is what you do best, we will concentrate on getting you the best insurance most suited to your individual fleet needs. Haden Welbeck are specialist local insurance brokers offering competitive and tailored insurance policies for our clients including up to 70% (with protected) No Claims Discount, individual vehicle, multi vehicle and fleet rates, a 24 hr claim line, FREE legal expenses and introductory discounts for new businesses. Talk to us about your Motor Traders Road Risks insurance too. We are also able to help you with other policies for your business such as Employers Liability Insurance (compulsory for any company with employees), Public Liability, Goods in Transit and Breakdown cover. There may be other policies you require and we will be able to assist you with these too. When you contact us you speak with a dedicated, experienced and friendly insurance consultant. They discuss your quote with you, taking time to understand the value in what you are insuring. They will ensure your free, no obligation insurance quote provides peace of mind, with the protection you require, from an insurance provider you can trust. The road ahead is covered with Haden Welbeck.